Or "How to live with 5 people squeezed into a large van without killing each other"
First off, let me preface this post by saying that the second half of our NZ family vacation was simply spectacular. The scenery, sights and sounds of the South Island ("the Right Island" according to a lady in Wanaka) were simply amazing, and I hope to find the time to post about most of these in the coming two weeks, while Dany and I spend some meditative time here in Tampa, Florida. That was the name of our campervan, appropriately enough! 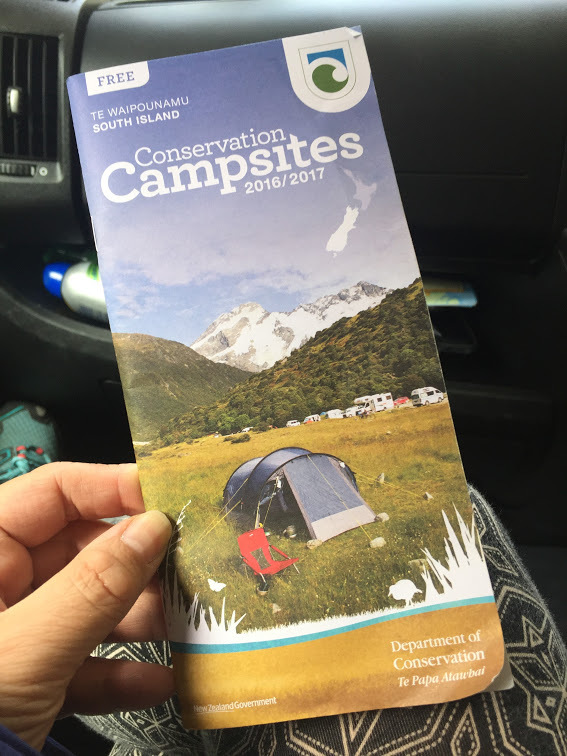 After several weeks of hemming and hawing during the planning months, we finally decided to hire a campervan for the South Island leg of our holiday. We'd been forewarned that getting a campervan of the right size (5/6 berth) and age (no more than 5 years) would prove a challenge if we left it too late, and indeed, by the time we had made our decision, we only had the option of (1) a very, VERY expensive luxury 6 berth; (2) a 5/6 berth from a company that had consistently poor ratings across multiple review sites; and (3) the Swift Escape 5/6 berth from Iconic Motorhomes, with which we eventually went. The lovely crew at Iconic, Kelly and Georgia, gave us advice on the camper van as well as our itinerary from before we'd left Singapore to the very day we picked up "Swiftly" - that was the winning name from the little contest we ran, asking the kids to come up with a name, rationale for the name and logo. Check out pictures of Swiftly below - I think she has some of the best photos of our New Zealand family holiday! I chickened out of driving Swiftly...and for the whole trip, Dany was behind the wheel, which made it rather tiring for him. However, I was in charge of the 3 Cs: Cabin cleanliness, Cooking and Crockery. Trust me, it was not much fun having to pack before and after every drive. The girls helping out with some navigation and suggestions for places to visit. We had to get the kids involved in Cabin cleanliness too, because we soon realised that they were the ones spending the most time in the cabin, and making the most mess with (1) rocks they'd pick up, (2) flora of various kinds, (3) soft toys of various sizes and shapes, and (4) duck poop on their shoes. Having them look after cabin and cleaning up after themselves made life a lot easier, and ensured that I did not lose my voice yelling at them every 30 minutes or so. Kiwi and Huwi enjoying some Pear Cider, while discussing events of the day. They also got involved with setting up the outdoor table and chairs, cooking and cleaning the crockery throughout the journey, which was awesome! The daily routine of setting up our outdoor eating station was left in the capable hands of the kids. Adan cooking up his fav butter chicken! The only places that we made more elaborate meals were at the campervan Holiday Parks with full kitchens! Read on to the bottom of this post for a list of the Holiday Parks we stayed in. Being quite used to creature comforts, one of the hardest things for me, apart from the cramped living space, was the lack of unconstrained running water. We had to conserve as much water as we could, as our camper van - although meant for 6 adults - could not seem to hold enough water to wash dishes beyond one day. We couldn't even shower in the vehicle, because there would never be enough water. Hence staying in a combination of Department of Conservation (DOC) campsites and serviced holiday parks was a natural result. 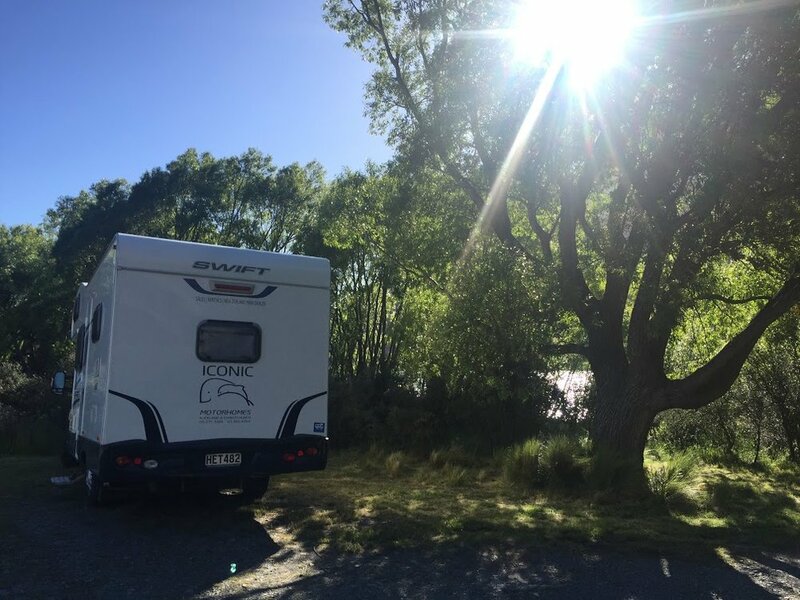 After we had filled up the water tank, charged up the vehicle battery with electricity and dumped the sewerage tanks at Holiday Parks, we would spend a blissful, shower-less night or two at the DOC campsite. The former gave us the simple joys of a hot shower (sometimes paid, sometimes not), kitchen facilities and laundry; not to mention TV & games rooms, pools, playgrounds and trampolines for hours of fun for the kids; while the latter allowed us to immerse ourselves fully in nature and enjoy New Zealand at its finest. Trampolines were a big hit with the kids at the TOP 10 holiday park in Fox Glacier and Franz Josef. Stay tuned for more details about our South Island travels around New Zealand!